02/22/17 Honda (american honda motor co.) is recalling certain model year 2007-2011 honda cr-v, 2011-2015 cr-z, 2010-2014 fcx, and insight, 2009-2013 fit, 2013-2014 fit ev, 2007-2014 ridgeline, 2013-2016 acura ilx, 2013-2014 acura ilx hybrid, 2007-2016 rdx, 2005-2012 acura rl, 2009-2014 acura tl, and 2010-2013 acura zdx vehicles. the affected vehicles are equipped with a dual-stage driver frontal air bag that may be susceptible to moisture intrusion which, over time, could cause the inflator to rupture. 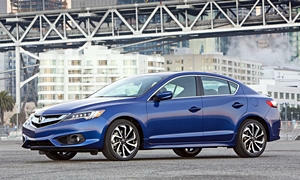 07/14/14 Electrical and Air Conditioning American honda motor co., inc (honda) is recalling certain model year 2013 acura ilx vehicles manufactured january 16, 2012 to march 1, 2013, ilx hybrid vehicles manufactured january 12, 2012 to february 7, 2013, and certain model year 2014 ilx vehicles manufactured may 2, 2013, to may 31, 2014, and ilx hybrid vehicles manufactured october 18, 2013 to february 19, 2014. excessive heat temperatures around the headlight bulb and reflector unit may diminish the output of the headlight and cause smoke, melting, and fire. thus, these vehicles fail to comply with the requirements of federal motor vehicle safety standard no. 108, "lamps, reflective devices, and associated equipment." The diminished light output may decrease the driver's visibility, increasing the risk of a crash. additonally, the excessive heat coming from around the bulb and reflector could cause the headlights to overheat, increasing the risk of a fire. Honda will notify owners, and dealers will replace the headlights, free of charge. the recall began in july 2014. owners may contact acura customer service at 1-800-862-2872. honda's number for this recall is je9.